Bruno Maderna in April 1972. Bruno Maderna was born Bruno Grossato in Venice but later decided to take the name of his mother, Caterina Maderna. At the age of four he began studying the violin with his grandfather. ‘My grandfather thought that if you could play the violin you could then do anything, even become the biggest gangster. If you play the violin you are always sure of a place in heaven.’ As a child he played several instruments (violin, drums and accordion) in his father's small variety band. A child prodigy, in the early thirties he was not only performing violin concertos, he was already conducting orchestral concerts: first with the orchestra of La Scala in Milan, then in Trieste, Venice, Padua and Verona. Orphaned at the age of four, Maderna was adopted by a wealthy woman from Verona, Irma Manfredi, who saw that he received a solid musical education. Later after taking private lessons in harmony and composition with Arrigo Pedrollo (1935–37) he studied with composition with Alessandro Bustini at the Rome Conservatory (1937–40). After Rome he returned to Venice, where he attended the advanced course for composers (1940–42) organised by Gian Francesco Malipiero at the Benedetto Marcello Conservatory (his Concerto for Piano and Orchestra dates from this time). He also studied conducting with Antonio Guarnieri at the Accademia Chigiana in Siena (1941) and Hermann Scherchen in Venice (1948). The meeting with Scherchen was fundamental to Maderna. Through him he discovered twelve-tone technique and the music of the Second Viennese School. During the Second World War he took part in the partisan resistance. From 1948 to 1952 he taught music theory at the Venice Conservatory. During this period he collaborated with Malipiero on critical editions of Italian early music. Fellow composers he met at this time included Luigi Dallapiccola and, at the Internationale Ferienkurse für Neue Musik, Boulez, Messiaen, Cage, Pousseur, Nono and Stockhausen. In 1950 Maderna started an international career as a conductor, first in Paris and Munich, then across Europe. In 1955 he founded the Studio di Fonologia Radio in Milan with Luciano Berio and Incontri musicali, a series of concerts disseminating contemporary music in Italy. In 1957–58, at the invitation of Giorgio Federico Ghedini, he taught at the Milan Conservatory, and between 1960 and 1962 he lectured at Dartington International Summer School in England. From 1961 to 1966, Maderna and Pierre Boulez were the main directors of the International Kranichsteiner Kammerensemble in Darmstadt. Despite this heavy workload throughout these years Maderna found time to compose. During the 1960s and '70s he spent much time in the United States, teaching and conducting. In 1971–72 he was appointed director of new music at Tanglewood. In 1972–73 he became the principal conductor of the Orchestra Sinfonica of RAI in Milan. 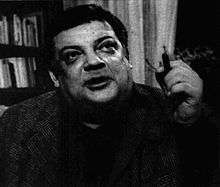 Bruno Maderna died of cancer in Darmstadt in 1973. A number of composers wrote pieces in Maderna's memory, including Pierre Boulez (Rituel in memoriam Bruno Maderna) and Luciano Berio (Calmo for voice and orchestra). Earle Brown's Centering, dedicated to the memory of Maderna, ends with a short quotation from Maderna's First Oboe Concerto. Bruno Maderna composed much music in all genres: instrumental, chamber, concertos and electronic, as well as large amounts of incidental music (for theatre and radio) and transcriptions and editions of early music. At the heart of Maderna's output are a number of concertos, including one for violin, one for two pianos, two for solo piano and several for flute and orchestra. He was particularly drawn to the oboe, composing three concertos in all: the first in 1962-63 followed by two more in 1967 and 1973. Other major orchestral works include Aura and Biogramma (both 1967) and Quadrivium, for four percussionists and four orchestral groups (premiered at the 1969 Royan Festival). Giuseppe Sinopoli recorded all three of these pieces with the North German Radio Symphony Orchestra in 1979. Bruno Maderna also produced scores for eight films and two documentaries. The last of these was for Giulio Questi's thriller La morte ha fatto l'uovo (Death Laid an Egg) in 1968. ↑ Anon. 2011a; De Benedictus n.d.
Anon. 2011a. "Bruno Maderna." Encyclopædia Britannica. Encyclopædia Britannica Online (Accessed 22 November 2011). Anon. 2011b. "Bruno Maderna: Compositeur et chef d'orchestre italien né le 21 avril 1920 à Venise, mort le 13 novembre 1973 à Darmstadt, Allemagne". Base de documentation sur la musique contemporaine. IRCAM, Centre Pompidou website, ressources (accessed 8 January 2016). Anon. 2013. "Centering". Earle Brown website (accessed 8 January 2016). Anon. n.d. Death Laid an Egg (1968) "La morte ha fatto l'uovo". Internet Movie Database (accessed 10 January 2016). Dalmonte, Rossana (2001). "Maderna [Grossato], Bruno [Brunetto]". The New Grove Dictionary of Music and Musicians, second edition, edited by Stanley Sadie and John Tyrrell. London: Macmillan Publishers. Mattietti, Gianluigi. 2006. "Maderna, Bruno". Dizionario Biografico degli Italiani 67 (accessed 10 January 2016). Oron, Aryeh. 2001. "Bruno Maderna (Conductor, Composer". Bach Cantatas Website (accessed 8 January 2016). Patmore, David. n.d. Bruno Maderna http://www.naxos.com (accessed 10 January 2016). Baroni, Mario (2003). "The Macroform in Post-tonal Music: Listening and Analysis". Musicæ Scientiæ: The Journal of the European Society for the Cognitive Sciences of Music 7, no. 2 (Fall): 219–40. Baroni, Mario, and Rossana Dalmonte (eds.) (2015). Pour Bruno. Memorie e ricerche su Bruno Maderna. Lucca: Libreria Musicale Italiana. Clark, Philip (2011). "Thoroughly Modern Maderna". Gramophone (January): 44–45. Dalmonte, Rossana, and Mario Baroni (eds.) (1985). "Bruno Maderna, Documenti". Milan: Edizioni Suvini Zerboni. Dalmonte, Rossana, and Mario Baroni (eds.) (1989). Studi su Bruno Maderna. Milan: Edizioni Suvini Zerboni. Dalmonte, Rossana, and Marco Russo (eds.) (2004). Bruno Maderna. Studi e Testimonianze. Lucca: LIM. De Benedictis, Angela Ida. n.d. "Biography", translated by Mark Weir. Centro Studi Luciano Berio website (accessed 8 January 2016). Fabbi, Roberto (2002). "Cena sociale. Satyricon e il 'politico'". Musica/Realtà, no. 67. Fearn, Raymond (1990). "Bruno Maderna". [Chur]: Harwood Academic Publishers. Fearn, Raymond (2003). "'Luft von anderem Planeten...': The presence of the Epitaph of Seikilos in Bruno Maderna's Composizione no. 2 (1950)". In The Past in the Present: Papers Read at the IMS Intercongressional Symposium and the 10th Meeting of the Cantus Planus, Budapest & Visegrád, 2000, 2 vols., edited by László Dobszay, 1:559–68. Budapest: Liszt Ferenc Zeneművészeti Egyetem. ISBN 963-7181-34-2. Feneyrou, Laurent, Geneviève Mathon, and Giordano Ferrari (eds.) (2007, 2009). À Bruno Maderna, 2 vols. Paris: Éditions de Basalte. Ferrari, Giordano (2000). Les débuts du théatre musical d'avant-garde en Italie. Berio, Evangelisti, Maderna. Paris: L'Harmattan. Gagné, Nicole V. (2012). Historical Dictionary of Modern and Contemporary Classical Music. Historical Dictionaries of Literature and the Arts. Lanham, MD: Scarecrow Press. ISBN 978-0-8108-6765-9 (cloth); ISBN 978-0-8108-7962-1 (ebook). Ircam-Centre Pompidou (2011). "Bruno Maderna". Resources.ircam (Accessed 22 November 2011). Neidhofer, Christoph (2005a). "'Blues' through the Serial Lens: Transformational Process in a Fragment by Bruno Maderna". Mitteilungen der Paul Sacher Stiftung, no. 18 (March): 14–20. Neidhofer, Christoph (2005b). "Bruno Madernas flexibler Materialbegriff: Eine Analyse des Divertimento in due tempi (1953)". Musik & Ästhetik 9, no. 33 (January): 30–47. Neidhofer, Christoph (2007). "Bruno Maderna's Serial Arrays". Music Theory Online 13, no. 1 (March). Palazzetti, Nicolò (2015). "Italian Harmony during the Second World War. Analysis of Bruno Maderna's First String Quartet". Rivista di Analisi e Teoria Musicale 21, no. 1: 63-91. Poel, Piet Hein van de (2003). "Bruno Maderna sur le Satyricon: Pop art en musique". In Musique et dramaturgie: Esthétique de la représentation au XXème siècle, edited by Laurent Feneyrou, 599–601. Paris: Publications de la Sorbonne. Service, Tom (2013). "Remembering Bruno Maderna". The Guardian (13 November). Sitsky, Larry (ed.) (2002). Music of the Twentieth-Century Avant-Garde: A Biographical Sourcebook. Westport Connecticut and London: Greenwood Press. Zender, Hans, with Roland Diry and Suzanne Laurentius (2007). "Neue Musik erwartet Selbstandigkeit". Ensemble Modern Newsletter no. 24 (January):.